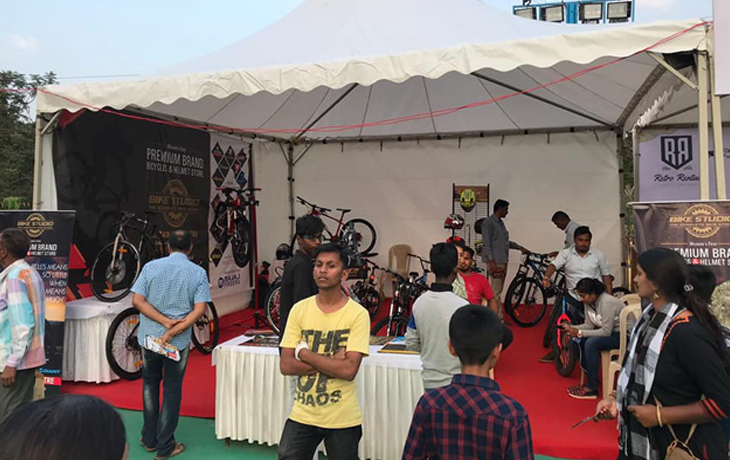 Bike Studio Mysuru displayed bikes at Education Fair held in Mysuru. Bike Studio Mysuru Opening | MTB, Kids, BMX, Fat, Road Bikes Bicycles. Grand Opening of Bike Studio Mysuru on 16 December, 2018. Great deals on bicycles of all kinds- MTB, BMX, Road Bikes, Fat Bikes, Kids Bikes and High - End bicycles.